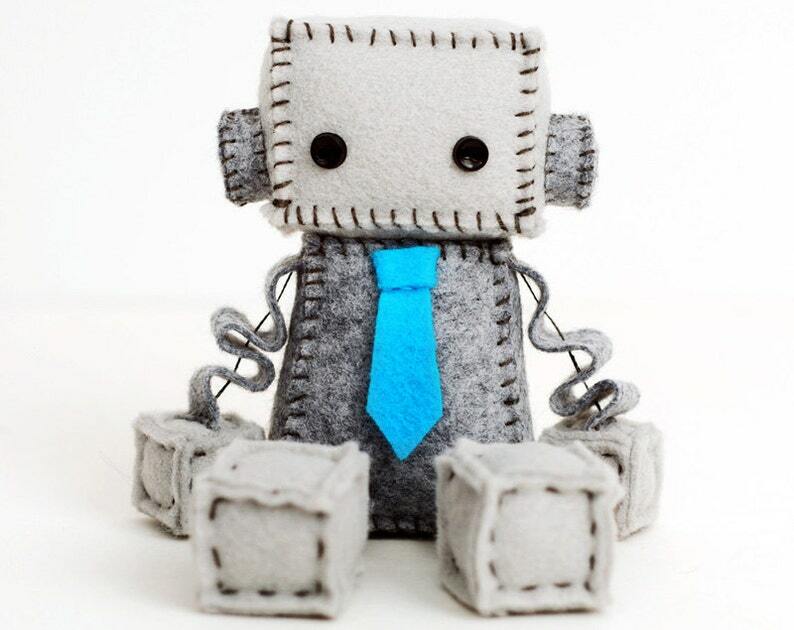 This little robot plush has a smart tie in your choice of color. He looks extra dapper and would make a great gift for your geeky dad or as nursery decor for your robot loving baby. The robot was received quickly (even during the holiday season which is impressive), and was even cuter in person. It made a great gift for my friend, and the customer service Susie (shop owner) provides is exceptional. We ran into a little issue, and she went above and beyond to make sure my order was received in time for xmas. 10/10 would buy again from this shop.